From one of the world's foremost spiritual leaders, an inspiring book that provides young adults and their parents with a game plan for leading a better life. Drawing upon his faith as well as his personal experience, Gordon B. Hinckley provides his readers with a game plan for discovering and embracing the things in life that are valuable and worthwhile. He shows how our lives are shaped by the decisions we make every day about personal behavior -- and he shows how to make the right decisions with the help of nine guiding principles. Steve Young Former quarterback for the San Francisco 49ers. Way to Be is more than any playbook I ever had in the NFL, because it will help you avoid life's fumbles and interceptions. And that is because it is counsel from someone who is wise, someone who has your best interests at heart, someone who wants only for you to be happy and find true joy. It is like getting plays called in from the sideline by an exceptional coach who knows which plays to call when the going gets tough and the game is on the line. 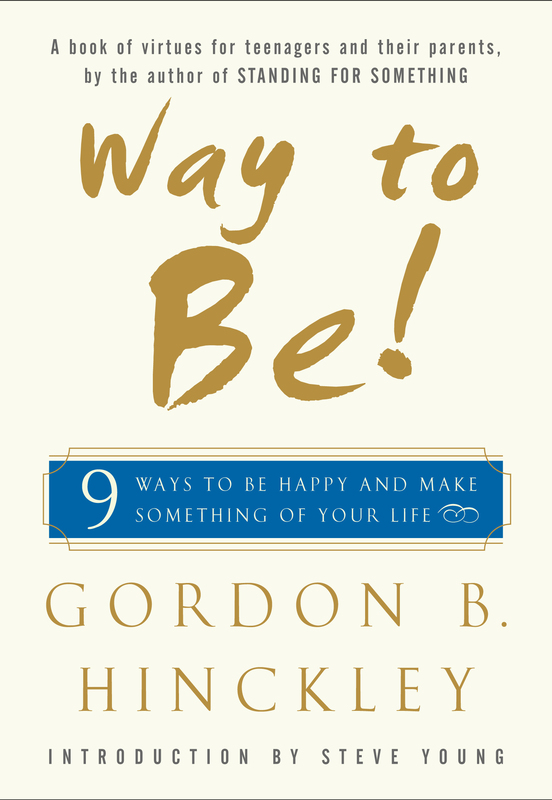 Book Cover Image (jpg): Way to Be!